Amazing design — one of the biggest advantages of going with car beds for toddlers is the impeccable design these models feature. It is not a secret that we all want only the best, the most stylish, and the most impressive things for our children, and car beds for toddlers generally fall under all of the above mentioned categories. A lot of options to choose from – even though car beds for toddlers are not among some of the most easily available models, common in any furniture store, there will still be quite a lot of options to choose from. 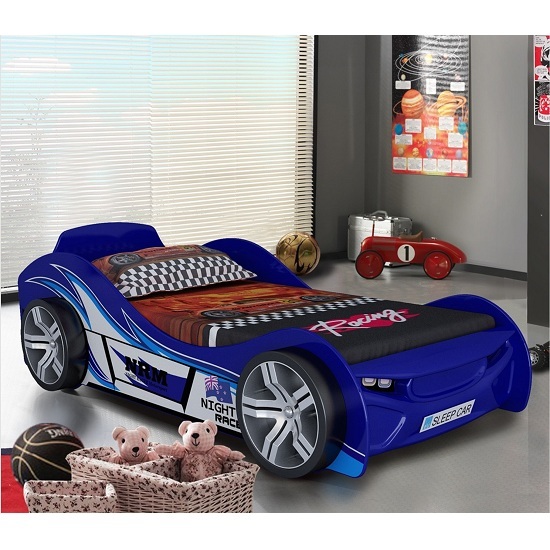 There are beds for boys (obviously) and for girls; beds that look like toy cars and beds that look like actual cars. And, of course, the color palette is enormous. Pricy – any nice, carefully designed thing costs a bit extra. Car beds for toddlers are not an exception. Sure, as it was already mentioned, we always want the best for our kids. However, if you are on a limited budget, you will be able to find plenty of other quality beds, made of natural material, but with a simpler design. Will require replacement soon – apart from being quite pricy, car beds for toddlers will require replacement pretty soon – not because of the low quality, but simply because toddlers grow like weed. So, you will have to think whether a year (two maximum) of using a small car bed is worth the cost. Toddlers are usually too young to appreciate the design – finally, it is quite hard to tell if a toddler is big enough to appreciate the design, or remember it a couple of years later. The most reasonable answer – no, they are too young to appreciate it. So, any time you are choosing car beds for toddlers, you are actually choosing them for yourself. Not that there is something wrong with that, of course.